People made purchases as early as 6 a.m. Thursday. Thanksgiving dinner hadn’t even been served when some people started making their way home from Black Friday shopping. Shoppers were already in line at 1 p.m. Thursday for the Springfield Plaza Kmart’s second round of Black Friday promotions. The first round began at 6 a.m. Many were in line at the Best Buy since Wednesday night, and some were equipped for the cold with a stove. The longest wait time: 17 hours. “It’s actually about $1,500 off,” said Ahmad Shukrey, the first Best Buy customer in line, explaining the savings he seeks. Shomari Stone spoke with shoppers at Tanger Outlets in Oxon Hill. Other stores joined in the Thanksgiving sales later, opening Thursday evening. 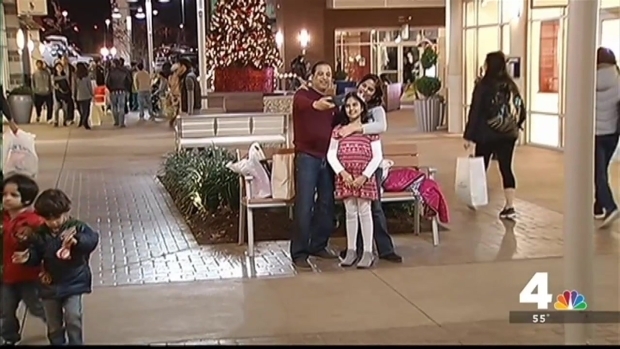 In Oxon Hill, Maryland, News4 spoke with a woman who not only spent the holiday shopping but also drove for four hours to do it. "It's a beautiful place to shop," Linda Treadway of Lynchburg, Virginia, said at Tanger Outlets. 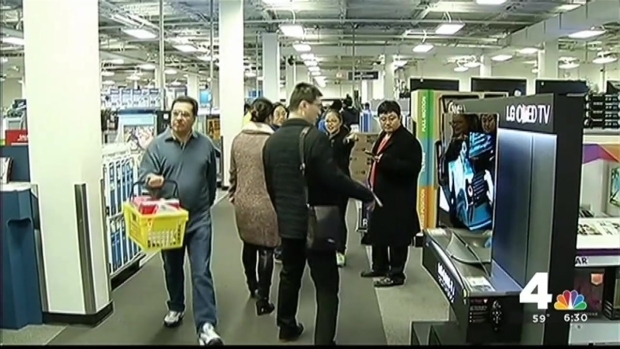 Shoppers line up at stores across the region for Black Friday bargains. But at the Kmart at 14014 Connecticut Ave. in Silver Spring, Maryland, technical difficulties put an end to early Black Friday shopping. The store was supposed to be open from 6 a.m. Thursday through 10 p.m. Friday, but it lost its Internet at 3 p.m., meaning its registers stopped working. As of 10:45 p.m. Thursday, the store did not have an estimate for when the problem would be fixed, but when it is, the doors will reopen. In the meantime, a handwritten sign turns shoppers away. REI was one of the few stores closed on Thursday and Friday. They instead encouraged employees to spend time outdoors during this holiday season.